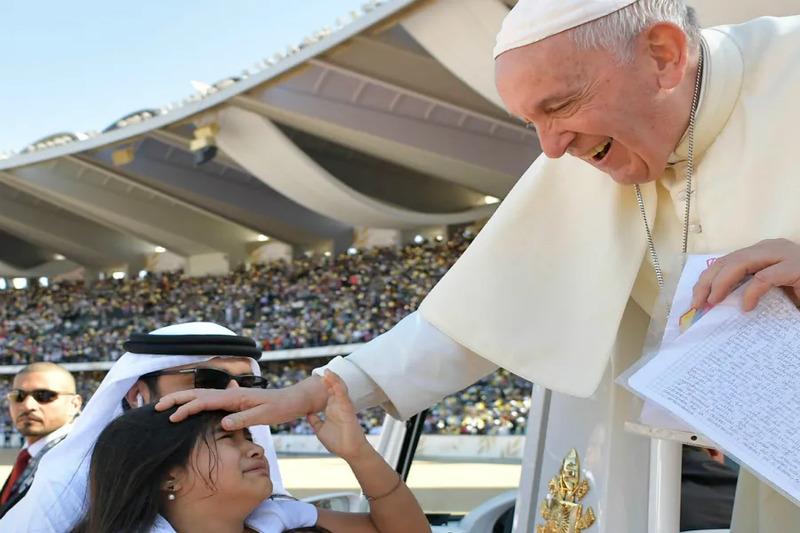 Abu Dhabi, United Arab Emirates, Feb 4, 2019 / 11:14 am (CNA/EWTN News).- On Tuesday, Pope Francis will visit St. Joseph’s Cathedral in Abu Dhabi — one of two total Catholic churches for the Arabian city with a population of 1.42 million. While few in number, parishes in the United Arab Emirates are remarkably diverse and bring together Catholic traditions and devotions from across the Middle East, South Asia, and the rest of the universal Church. In St. Joseph’s Cathedral, for example, Masses are celebrated in Arabic, English, French, Filipino, Malayalam, Sinhalese, Urdu, Tamil, Konkani, German, Italian, Korean, Polish, and Ukrainian for its 100,000 expatriate parishioners. St. Joseph’s parish was the only Catholic church in Abu Dhabi for more than 50 years, until St. Paul’s Catholic Church opened in the city’s Musaffah district in 2015. The new church’s property spans 49,000 square feet and includes a three-story building that houses a multipurpose hall, a residence for priests, and meeting rooms. Dario Mobini, a contributing editor for WorldYouthDay.com, visited St. Paul’s a few months after its inauguration. Mobini told CNA that he found great hope in seeing so many people in the church’s perpetual adoration chapel in a country where Catholicism is a minority. St. Mary’s hosted the first Catholic Youth Conference of Arabia, an initiative to create a greater sense of a united community among the peninsula’s young Catholics. Since 2009, the UAE has hosted two additional Arabian Catholic Youth Conferences (ACYC) in 2012 and 2018 with between 1,000 and 1,500 Catholics traveling from Oman, Bahrain, Kuwait, and Jordan to attend the “festival of faith” with Catholic speakers, authors, and musicians. Mobini was joyfully surprised to be reunited with a group of about 100 young St. Mary’s parishioners in Panama this year at World Youth Day. “When I was in Panama, the group from the United Arab Emirates was excited to be there to celebrate their faith with others. It really was a sign of great hope due to the fact that maybe in Abu Dhabi and Dubai, you might not be able to see the beauty of the faith freely expressed in such a way that World Youth Day allows it to be,” he said. The Mass Pope Francis will celebrate Feb. 5 during his two-day trip to Abu Dhabi will make history as the first public outdoor Mass on the peninsula, where each country has restrictions on the freedom of worship. The official religion of the United Arab Emirates is Islam with a Sunni Muslim majority. About 12.6 percent of the total population is Christian, according to the Pew Research Center. The focus of the pope’s visit is interreligious dialogue, particularly with Islam, and includes a meeting with the Muslim Council of Elders and a visit to the great mosque of Abu Dhabi. Mosul, Iraq, Jan 10, 2018 / 11:34 am (ACI Prensa).- When Iraqi residents fled their homes during the Islamic State invasion, they left behind their houses, neighbors, and day-to-day lives. 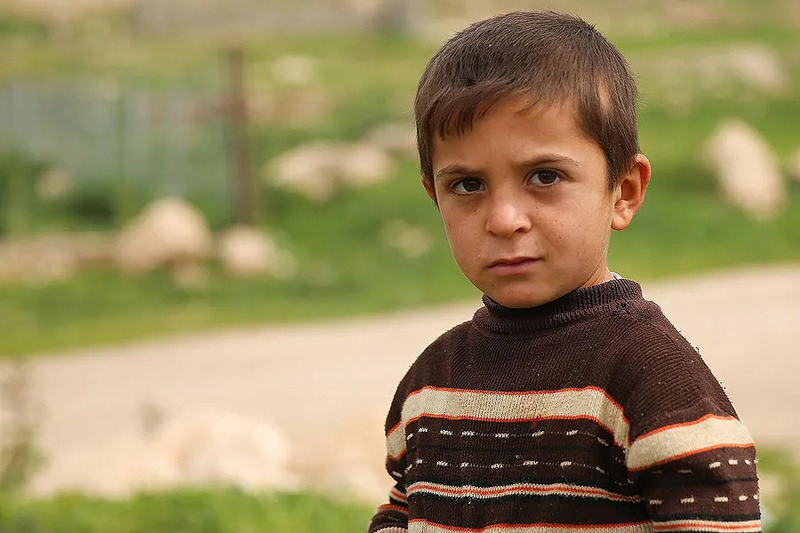 For the children who fled, leaving their home behind also meant an interruption in their education – in some cases for months or years. While some refugee camps offer classes for children, challenges abound and students often fall behind. Now, a group of Dominican sisters in one Iraqi town is working to help educate displaced children as their families return to their homes and work to rebuild their lives. With the support of Catholic charity Aid to the Church in Need in Spain, the Dominican Sisters of Saint Catherine of Sienna were able to restore their convent, which had been destroyed by the Islamic State in Iraq. Today, they offer classes to hundreds of children who had been displaced by the war. “We try to help the children, giving them peace: in our convent we offer them a safe place,” Sister Ilham told ACN in late December. Despite the expulsion of ISIS, security in the area remains unstable. In May 2017, ACN funded the restoration of Our Lady of the Rosary Convent with a grant of $54,000. Located in Teleskuf, north of the plain of Nineveh, the convent is just over 20 miles outside of Mosul. The sisters worked 12-hour days to prepare the convent to welcome the children, Sister Ilham said. They provide daycare for children between three and five years old. In the mornings, they teach about 150 children between the ages of six and 12. In the evenings, they teach students 12 years of age and older. Sister Ilham, 57, was working for a church in Mosul when the rapid advance of the Islamic State forced her and her community to flee. However, after the fall of the terrorist group, she returned to the area and today is helping those displaced from Teleskuf. “None of us wanted to leave where we come from, but as the attacks continued, we had to flee to save our lives,” she said. In addition to teaching at the convent, the sisters visit the members of the Christian community in their homes, teach catechism to the children, and prepare them for their First Communion. Once the local school is rebuilt, the children will no longer need to attend the convent classes. In the meantime, the sisters hope they can help the children from falling too far behind in their studies. “Before the Islamic State invasion, there were five sisters in the convent, while now there are only two of us. Fortunately, we are will soon receive reinforcements,” Sister Ilham said. In addition to helping fund the convent reconstruction, Aid to the Church in Need is currently helping rebuild 13,000 houses and more than 300 church properties destroyed by the Islamic State in Iraq. The pope quoted from St. Francis of Assisi’s Earlier Rule regarding approaches to “Saracens and non-Christians”: “Let them not get into arguments or disagreements, but be subject to every human creature out of love for God, and let them profess that they are Christians”. 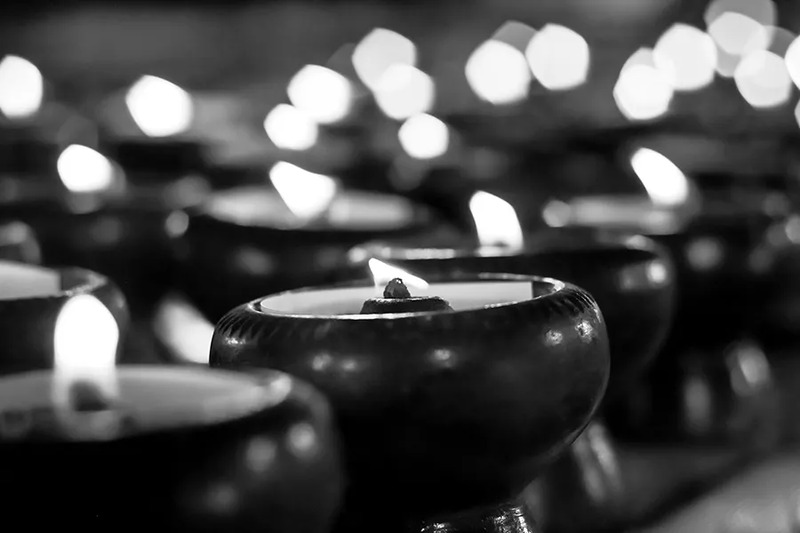 Lagos, Nigeria, Feb 19, 2019 / 12:13 am (CNA/EWTN News).- Catholic leaders have voiced disappointment at a last-minute delay in Nigerian elections, but called for Christians to remain peaceful and participate in the postponed vote next weekend.